Ten days ago was my second time visiting Minsk, Belarus: about 8 h ride by bus one way, just to experience this small event, where you feel like… home. It became very precious and important to me in December of last year, when I attended the previous edition and I knew almost nobody from there. This time, it was even better. What does Trance Fusion mean for people? Trance Fusion is a series of Trance events, organized by Alexander Spark with a goal to enjoy the music and bring people together, even if it means investing personal resources with no return. 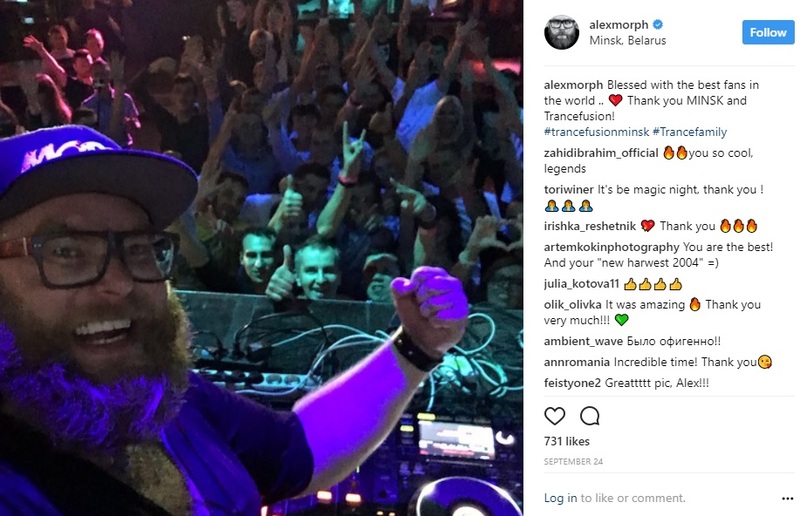 It is well known for having Alexander Popov, famous Russian Trance producer and good friend of Alexander Spark, as a usual guest, because, if the name of organizer is not so well known, then the name of DJ, who is signed to Armada Music and who runs his own label (Interplay Recordings), will attract people for sure. But the question is – what makes these events so special? My answer would be – perfect Trance Family atmosphere. For sure, Trance is not very popular in Belarus. Even if Minsk hosted such huge events like A State Of Trance 600 and Armin Only – that was it. After Future Sound Of Egypt 400 two years ago, Trance Fusion was the only Trance music event around that region, and this is why it became so special for local Trance Family – it was the only option for them to get together, to enjoy the music they love and to meet different DJs and producers, as it’s not so easy to go for European events for locals (because of Visa factor). It is not big, which, in my opinion, is awesome, because intimate atmosphere is the best one for a good connection between listeners and DJs. Last year I went for this event with no information about it. I knew that two of my friends will be coming too, but the real reason why I made my decision to visit Minsk – the line-up. 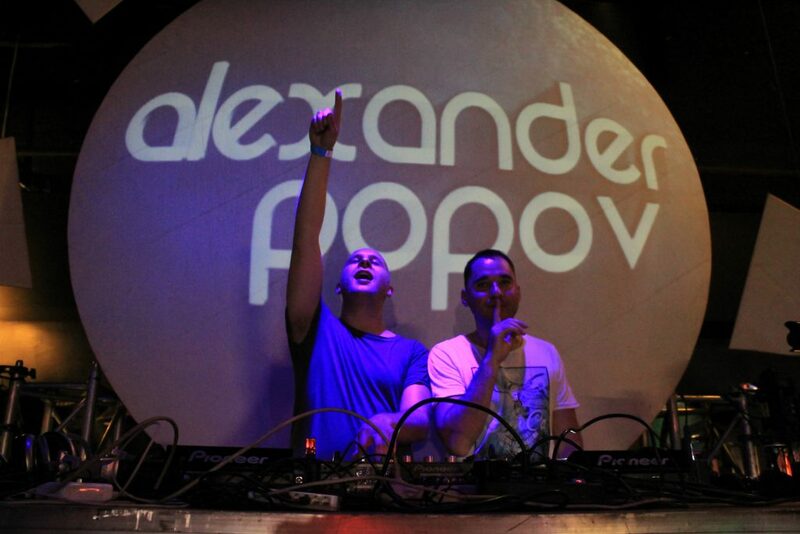 I’ve been always a fan of Alexander Popov’s productions – that was reason Nr.1. Even if I met him few years ago during ASOT700 in Utrecht, I loved his set so much that I wanted to hear it again, and Minsk was the best and closest option. Reason Nr.2 – Alexander Spark, whose name I knew already because of his track “Morning Dawn”, which is one of my favorites of all time. As he is a main organizer, I contacted him before booking bus tickets, understanding that he is very nice, open-minded and friendly guy, who does everything for his passion – music. Reason Nr.3 – other DJs like Matt Bukovski, A.R.D.I, Abstract Vision. This year it was different, with a bit different line-up: Alexander Popov, Alexander Spark, Matt Bukovski, Eximinds, Espiro and Alex M.O.R.P.H. as headliner. A.R.D.I. was supposed to join too this time, but due to personal reasons he couldn’t come. I arrived one day before the event, as I was planning to meet some of my friends, and that turned into a nice evening around Old Town of Minsk, listening to different stories of each, about music, events and not only. Eximinds was already there too, joining us for a dinner, but leaving earlier to get some proper rest before the event, which was the good thing to do, as our night was over a bit… too late (if you know that you will have almost sleepless night ahead). Next day I volunteered myself to help – meeting artists from the airport, translating, buying needed things for the night, which made me feel like a part of something bigger. The best part of the day – get-together dinner with all the team and artists shortly before the event started. Awesome memories… After driving around Minsk during the day and getting ready, the night finally was about to start! Dinner before the event. Artists and team – chilling, me – taking this picture! Due to rush and lack of time (needed to get ready myself), I missed almost all first hour – warm-up with Espiro/Evgeny Spirit from Russia, who won the competition for playing in the beginning and who came there with the best support – his mom (huge respect for parents who understand that being a DJ is not just for fun). I got to see him closing his set and leaving decks for Eximinds, who was playing next. Luckily I got a chance to talk to him later, and even if it was his debut with Trance music (usually he plays something else), I could see that this genre is also special for him, which is the most important. Set of Eximinds was already full of energy, even if it was still the beginning of the night. This year was very productive for him, so no wonder he played a lot of own tracks, including some old ones, as, for example, remix on Gaia – “ Tuvan”, which wasn’t officially released, but which was actively supported by Armin van Buuren during his sets in 2014. His sound is very interesting and easy to recognize, and also – catchy. Glad that I finally got to hear him live, as last time I had a chance to do it was in April in Amsterdam, but my plane was too late and I missed it. Friendship in music is the best! You could easily see a huge support from everyone who came, which is amazing when you are still growing producer. Set was also interesting, as Alexander Spark could allow himself to play what he wants, as this and other sets wouldn’t happen if not for him. The biggest surprise for me was a Synfonic remix on ATB’s “Ecstasy” – such an old and legendary melody. Another track I felt with my heart – Hazem Beltagui’s bootleg on “What I’ve Done” by Linkin Park. Even if I knew that he will play it (as he told me before while playing this masterpiece in the car), still it gave me goose bumps. Next was the time for traditional b2b of Alexander Spark and Alexander Popov, which they started with the new collaboration, which will premiered later this year (at least I hope so). It was a pleasure to see those playing together, sharing jokes, observing each other and simply having fun on the stage. The dance floor was full, and the feeling of being united by music with hundreds of other listeners… it was unforgettable. Soon Alexander Popov continued his set alone, giving us all a chance to dance to his best productions and not only. Separate ‘Thanks’ from me for playing so many good-quality mash-ups of his tracks with such famous vocal tracks as “Satellite”, “Saving Light” and also “In And Out Of Love”, as they sounded so natural as if they were his personal tracks. For me it is always difficult to remember names of the tracks which have been played, but the most important that I knew and loved many of them. 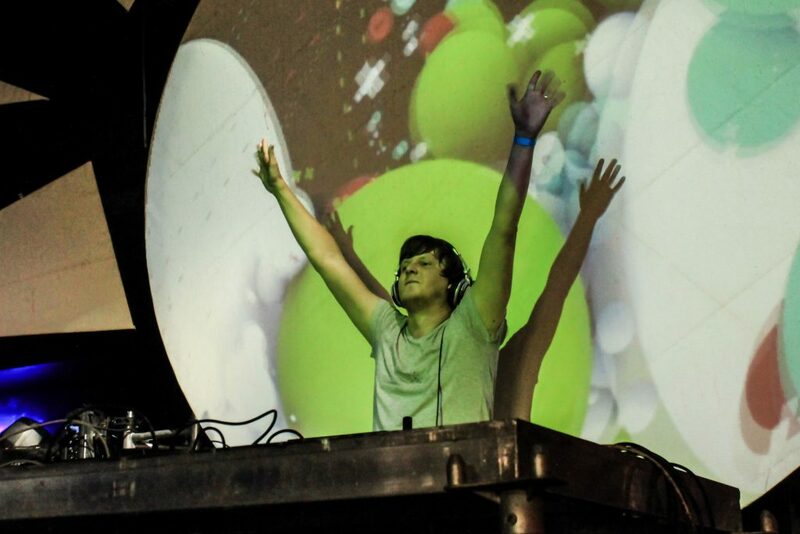 I’m not hiding that it’s been another year when I gave my vote for Alexander Popov in DJ Mag competition, because it’s not just about music he produces and plays, but also about him supporting so many artists from Russia, neighbor countries and not only, giving them a chance to grow. At 2:30 am Alex M.O.R.P.H. took his place by the decks – time for the main headliner has come! 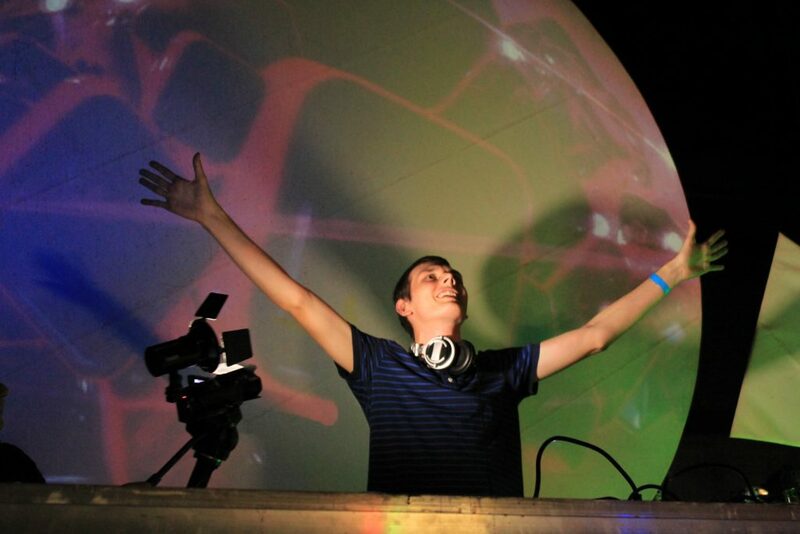 His sound was totally different from what has been played before, more uplifting, more classic and with a touch of psy. I wasn’t sure how the crowd, which is used to progressive sound, will accept it, but it was going crazy! First time I needed to record a video was for “Opus” by Eric Prydz – track I totally didn’t expect to hear, but after 2 years people still love it! Next one was Matt Bukovski, closing the night. He lost part of the crowd, which wanted to make pictures with Alex or who went home as it was already late, but the ones who stayed till the end, enjoyed the set for sure, because I did too! A lot of energy and smiling face of DJ, good mash-ups, awesome selection of tracks, even if the dance floor was not so full anymore – respect from me! Talla 2XLC remix of “Faded”, Jorn van Deyhoven remix of “RAMsterdam”, Gabriel & Dresden remix of “No One On Earth”… just some of the beautiful tracks which you could hear. But the night was coming to an end, which meant – time to say good bye… not just to friends, but to your new family. As I much as I know, this event became better that expected. 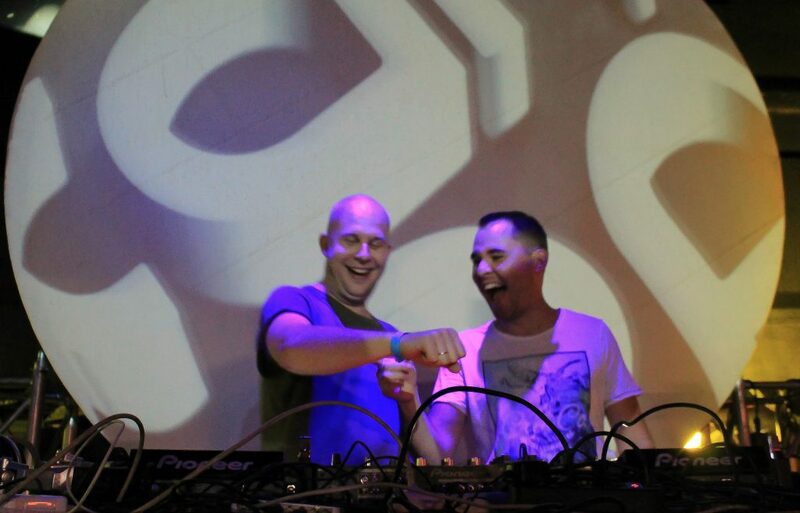 Artists were satisfied, Alexander Spark and his team – tired, but happy for another night with about 400 people, who came there for Trance, genre, which brings people together. It’s been 8 years since the first edition of Trance Fusion, and I hope that it will continue its path, bringing even more artists and listeners. I did my best to share the experience of last weekend and not only, so if you are ever interested of becoming a part of next edition – it will take a while, but be sure to look for news on the page of Alexander Spark in VK and FB. At the same time, if you have questions regarding getting to Belarus with no Visa – be sure to contact me for advice, as good Trance event is also a good reason to visit a new country!